Endurance racing holds a special place in the hearts of both spectators and drivers, though one has to wonder why. 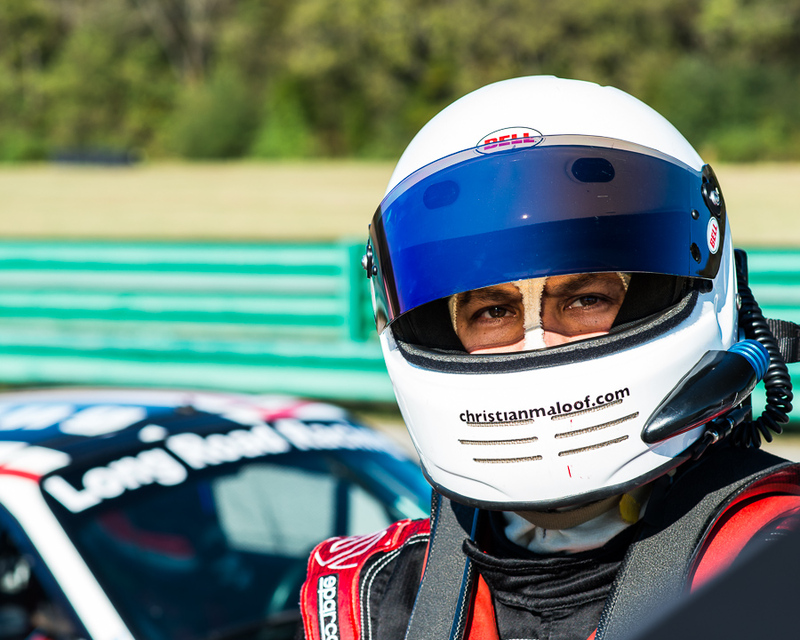 What would motivate a driver to want to spend several hours in a hot race car maintaining the highest form of focus and consistently turning laps for hours? What kind of person brims with excitement at the prospect of spending several hours behind the wheel, inhaling fuel fumes while stuffed into a somewhat-fitting shared seat, deprived of drink and food and sweating through layers of fire retardant clothing? Why would spectators want to spend several hours at a race track, deafened by running engines, suffocated by exhaust and nourished by questionable concession stand goods and alcohol? Makes no sense…but, somehow, just writing this piece is making me long for the experience. 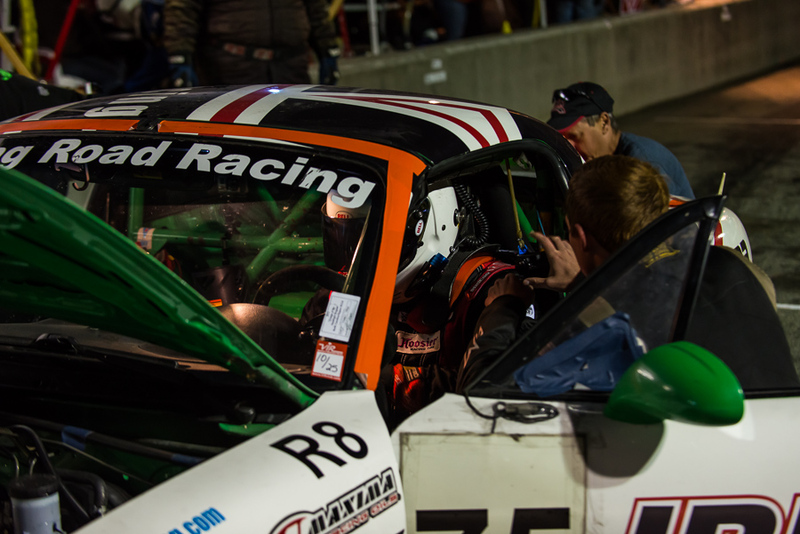 Endurance racing dwells in the emotional–not the rational–realm. The challenge of building and maintaining an engine, chassis and components to survive several demanding hours with two or three different drivers at the helm is the siren song of the engineers and mechanics. The crafting of a race strategy which is both precise and adaptable challenges the crew chief and race engineer. Showing up for an event which promises so many unpredictable variables energizes drivers. Together, it all adds up to a compelling symphony of motorsport. Drivers share information at the beginning/end of a stint. It goes without saying that the pinnacle of endurance racing – The 24 Hours of LeMans – is not available to most drivers. But thankfully, for amateurs who hear the siren call of the sun setting while they are dodging Cup Cars behind the wheel of a Spec Miata, there are plenty of opportunities to join a team for a more accessible enduro. Such is the case with one of the best endurance races at the club level, SCCA’s Charge of the Headlight Brigade. Randy’s advice sounded simple enough, but after watching the complex circus that was the 2014 13-Hour, I figured there had to be more to endurance racing, so I reached out to several drivers who had participated in an endurace race and asked them to provide their pearls of wisdom for drivers considering a stint – or a return – to endurance racing. Below is what they shared. One bit of advice all drivers agree on: when choosing a team to drive with, reliability is key. “The winning team is usually the one which spends the least time in the pits,” affirms Yiannis Tsiounis, 2012 Spec Miata NASA Champion. If there is a recurring theme to success in enduros, says Tom Long, it’s “always think with the end goal in mind.” While traffic management and consistency are a big part of qualifying and racecraft in any race, nowhere is it more crucial than in an endurance event. “ It’s never about the fastest lap in endurance racing,” says Long, “but rather about the average pace as you manage traffic.”Giving up a little may sometimes feel like an eternity, but if you time it right, that traffic scenario could pay off in the longrun when the car returns the favor,” adds Long. 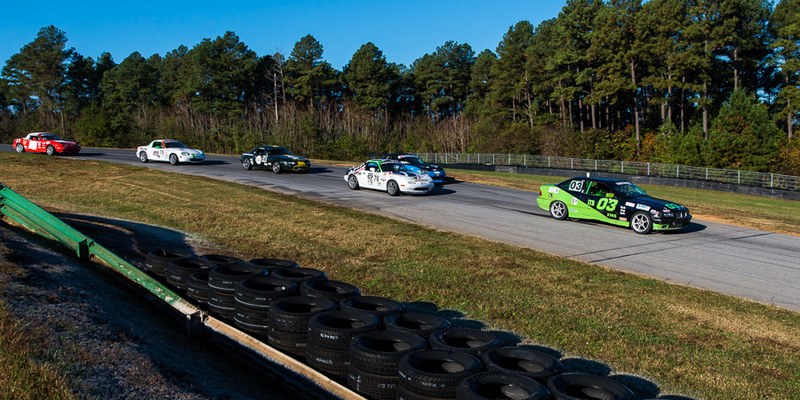 Indeed, it is not unusual for drivers—particularly those in momentum cars like Spec Miatas—to help eachother by bump drafting down the straights. Spec Miata driver Phil Mather agrees. In the 2011 VIR 13hr, Mather says “I had two cars battling behind me fairly early in the race. They were getting pretty hotheaded with each other, so I let them by, and they started to get door-handle-to-door-handle. I backed off a little and sat back to watch the show. I’m glad I did because they ended up wrecking each other into the next set of turns.” Mather finished 1st in class (9th overall). Nighttime is where endurance racing tests drivers. As with any long-term effort, consistency is key to success in endurance racing. Driving consistently, says Long , is “one of the most important traits” a driver can have. Consistency serves two purposes: It enables the team to manage “fuel mileage, brake wear, pace, etc.” and it renders the driver more predictable to other cars on track. “Passing or being passed on the same side, doing the same thing, lap after lap, not only as one driver, but as an entire co-driving team can make you more predictable as a “car” & allow for other cars help you and each other more efficiently.” Mather agrees. “You don’t need to drive every lap at 10/10ths, but drive every lap the same with no mistakes. Let the mistakes happen to other drivers.” Because, as Rick Mears said, to finish first, you must first finish. Something drivers and crews can always count on at endurance races are the unpredictable challenges that emerge as the race progresses. Seasoned enduro veterans know that adaptability to these variables – be it the car, track conditions or the team—is a crucial part of success . We just did another 24 hrs of Lemon race at Autobahn. You hit on all the points that make it fun. Great to hear that, Dave. We look forward to cheering you on next time! These are indeed some of the most important factors when racing. I couldn’t help but agree. I am just a beginner when it comes to racing and reading post like this can help me become a better car racing. Thanks a lot for sharing this post. Glad you enjoyed the piece. One of my favorite things about driving is that no matter what our level or expertise, we can all improve our racecraft. Enjoy the journey!